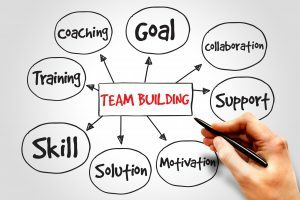 Team Building tips to take your team to the next level! In corporate environments, your employees are required to work with a variety of different people and personalities. And while they are all there to perform specific tasks and duties, personality clashes do occur in the workplace. And this can be a problem. When people in your team don’t get along, it can cause friction throughout your entire workplace. It can also make other team members extremely uncomfortable, not to mention affect their productivity and overall performance. The even bigger problem is that if your team are not working cohesively, they won’t want to work with each other. Without team building strategies, this can affect your organisation’s productivity, culture, team morale and future success. Which is why team building is crucial for your team member’s happiness and performance, and for your business success. 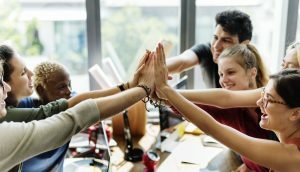 Team bonding is not only a great way to get your employees to work well together as a unit, but it also aids in creating a more stable work environment and culture. Here are five ‘must have’ tips for you from the Corporate Training Options Team Building Course, which you can take action on with your teams. Team Building is like building anything; you need the blueprints to get started. Teams in most cases will have varying degrees of skills, different personalities and a range of beliefs. Though it can be tough trying to get everyone to work together and agree on a way forward, a team-building blueprint can help you achieve this. It aids you in figuring out team characteristics, strengths and weaknesses, the skills available and what your team goals are. To create a strong foundation for your organisation’s team, always remember you are working with living breathing human beings who have needs, wants and desires just like you. They also have varying belief systems and values. Building a team culture that rewards, motivates, involves and excites your team members, to bring them enjoyment and happiness at work. Performing these steps is necessary for achieving the best possible outcomes for your team and your organisation. It also guarantees you and your team will have a solid foundation to work on to help you evolve as a team of people with a common cause. Based on our decades of experience in training corporate teams, our philosophy on team building is simple. Building bridges to healthier communication within your team involves a lot of work, tenacity and commitment. There are many steps to building a successful, cohesive team. Once you do though, you and your team will work much more effectively and happily, irrespective of the work situation. Performing all of these tasks will give you the outcome of better communication within your team. Mutual trust and respect are the most crucial points to remember and reinforce to build a successful team. Of course, this can also be ‘easier said than done’. To create a capable team for your organisation, irrespective of its size, you need to follow a process. It requires fostering an environment of trust and open communication, meaning you must create a safe, relaxed and accessible workplace. This will allow your team to put their faith in you, their fellow team members, their skills and how they see themselves in that team. Recognising employee performance is a great way to give and earn the respect of your fellow team members, however, it needs to be sincere and deserved. Like these Team Building Strategies? Please feel free to share them with people you know will benefit from them. 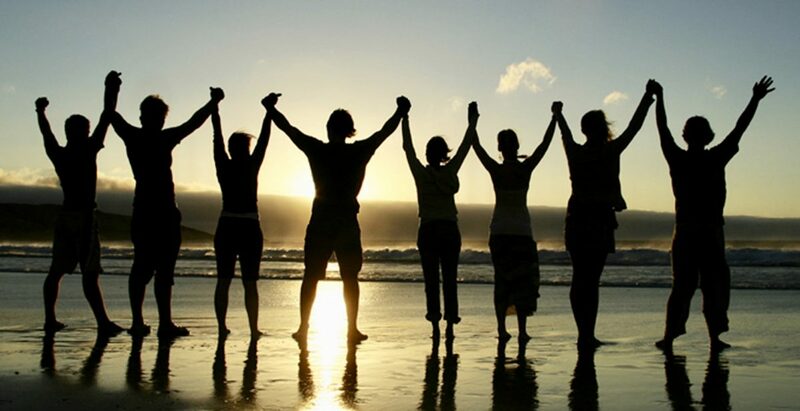 If you’re interested in learning more about unleashing the power and putting into practice the success of team building in your company, Corporate Training Options’ Team Building training course will be invaluable to you. From learning how to keep your team members motivated; to improved communication; to developing your teams’ problem-solving skills; this is a must-have team bonding and training course unlike any other. Book your onsite, customised Team Building training Now ! The Corporate Training Options Team Building course will help you understand the workings of teams and how teams can help you work better. You can find the complete Team Building course outline from Corporate Training Options here. Alternatively, please contact us by emailing training@cto.com.au directly. Our trainers are usually available to present your training within two weeks of your booking date. Corporate Training Options is Australia’s leading professional development training company, incorporated in 1992 and Australian owned. CTO has facilitated thousands of business training courses Australia wide, providing a cost-effective way of ensuring you and your staff are presenting your best image to the world. Your Professional Development and Computer Training courses are customised to meet your requirements, and your training is provided on-site, on dates which suit you. Each CTO trainer has specific areas of expertise.This enables them to provide invaluable assistance to organisations like yours, seeking to maximise your investment in your teams and your technology. So if you’re ready to upgrade your skills, or you wish to tackle some new challenges contact Corporate Training Options today. We’ll meet your specific needs with a tailored training course to suit your requirements.